The Wayne Local School District neither endorses nor sponsors the organization or activity represented on this page. 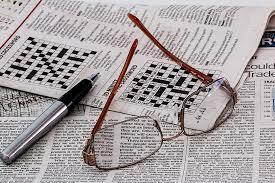 The distribution or display of this material is provided as a community service. In an effort to maintain environmental preservation, Wayne Local will no longer distribute paper flyers from outside organizations to our students. We will continue, however, to post electronic flyers from outside organizations on our “Community News” web page, provided the material receives approval through our regular approval process. All flyers must be approved by the Board Office and should be emailed to jdworetsky@wayne-local.com. Flyers should be submitted for approval one week prior to the desired posting date. Flags Over Waynesville is a new fund raising project for Boy Scout Troop 51. Besides helping the Scouts raise money for camping expenses, this Project helps build community spirit, patriotism, awareness, leadership, and responsibility while also providing a service to you. Troop 51 will place a plastic sleeve in your yard and mark the curb/street at its location. The sleeve will be flush with the ground requiring no maintenance on your part. The sleeve will not interfere with mowing. 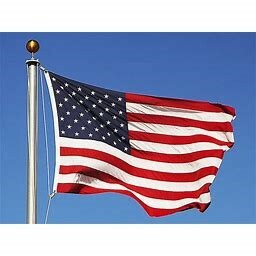 An American flag (details on the back) will be placed (Posted) at dawn and collected (Retired) on five national flag display days. The charge for this service is $35 for the year. By participating in Flags Over Waynesville, you will help instill values and encourage and support character growth in our Scouts. You will also be displaying your patriotism when these flags fly proudly in your neighborhood. Tell your neighbors and help line your street! Display the Flag of the United States of America in your yard on five All-American Holidays! An American flag will be placed at dawn and collected on five national flag display days. Who's ready for a ladies night out? The Progressive Women's Club Annual Silent Auction is just around the corner and we have a table ready for you and your friends! The big night is Thursday, April 25th at Crossview Christian Church at 4237 Social Row Rd, Waynesville, OH. Your $25.00 ticket includes a scrumptious dinner including appetizers and dessert, and access to bid on hundreds of amazing items donated from all over the region. Items include restaurant and other gift certificates, admission tickets to popular events and venues including Kings Island and Dragons games, fine arts and crafts, gift baskets, plants and gardening items, home decor, homemade goodies, local honey, and so much more! The evening also includes a fun and entertaining live auction that features one-of-a-kind and heirloom quality items that can be all yours if you come ready to bid! The PWC has raised well over $200,000 in the years of hosting the Silent Auction. All of that money has been put right back into the Waynesville community in the form of scholarships and donations to other non-profit organizations that benefit our community in many ways. So grab some friends and join us at the Progressive Women's Club Silent Auction! The fun begins at 5:30 p.m. on Thursday April 25th. Tickets are going fast - to get yours, contact Stephanie Morgan today at stephaniemagic@yahoo.com or call 513-805-3201. The 2019 Waynesville Baseball Softball Association is seeking sponsorship. We are looking to grow our sponsorships to reduce costs to the program so more children can afford to play in the WBSA. Below is a link to the sponsor package options. Thank you in advance for any assistance you can provide. * The Waynesville Baseball Softball Association represents boys and girls recreational baseball, softball, and t-ball (age 4-14, Grades K-8th grade). 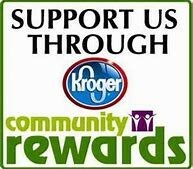 If you already have an online account sign in and click on view your rewards details.Scroll down to the bottom to Community Rewards and add Wayne Local Schools to your account.Our School number is 82139.If you do not have an online account - SIGN UP TODAY.Just follow the steps to register your Kroger Plus Card.